The SENS guidelines include standardised methods for collecting, analysing and presenting individual and household-based data on nutrition, health, food security and WASH, whilst maintaining quality standards for the measurement of nutrition indicators. 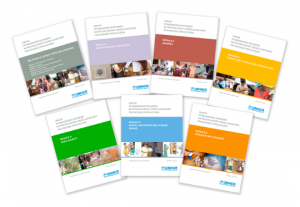 The pre-module is a quick reference guide, focusing on the practical steps for conducting a SENS survey. It is not meant to replace already existing survey manuals. To avoid duplication, the user is referred to pre-existing material on certain aspects of survey design and implementation. The modules include standardised questionnaires, analysis guidance and reporting format, and a number of useful tools to undertake a SENS survey. A major innovation is the development of standard analysis procedures and commands using the Epi Info software. Some countries may have national guidelines or minimum reporting standards for conducting nutrition surveys that slightly differ from the ones proposed here. The user of these guidelines should adapt them, where appropriate, to ensure local standards are met. Moreover, in recent years, electronic data collection on the field (as opposed to paper-based data collection) using mobile phones is being pursued to ease the process of data collection, data quality checks and data entry. UNHCR is moving towards integrating the use of mobile phones for data collection and entry as part of the SENS guidelines. Separate guidelines are available for this, go to: Mobile Technology. In the future, the SENS guidelines will be updated and improved as lessons are learnt on their application and usefulness, and the field of survey methodology evolves.